Since I have been using this product my nails have been hydrated and much stronger. I use this with the nailtiques protein. 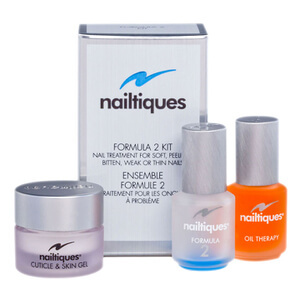 Nailtiques products never fail to deliver, and this nail oil speeds up your home manicure and/or pedicure whilst treating your nails. I use it after top coat (Nailtiques again!) and it makes your polish dry much quicker whilst sinking into your cuticles and revitalising them. A small bottle lasts ages, and don't forget to get one for your holidays too. I wish I'd had this about 35 years ago! Don't hesitate to buy this - I use it at home, on holiday, round the word and it sets your manicure immediately. I don't think you can beat Nailtiques Oil Therapy for doing just what it 'says on the tin' - that's moisturise and feed your nails and cuticles - it certainly does and the bonus point - it smells great too. This really does improve cuticles and makes nails look 'finished'And it smells fabulous!